Take a look at these photos from autoevolution. 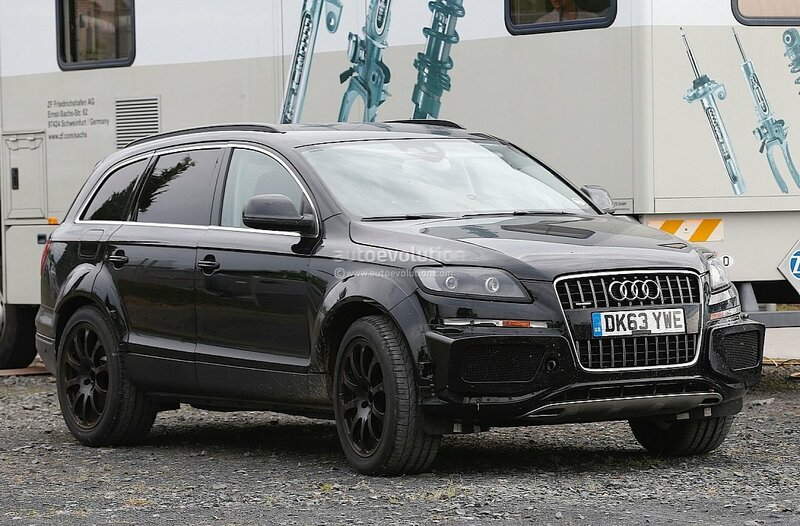 The VAG group is trying to make you think it's the test mule car for the next gen Audi Q7, but it's not. 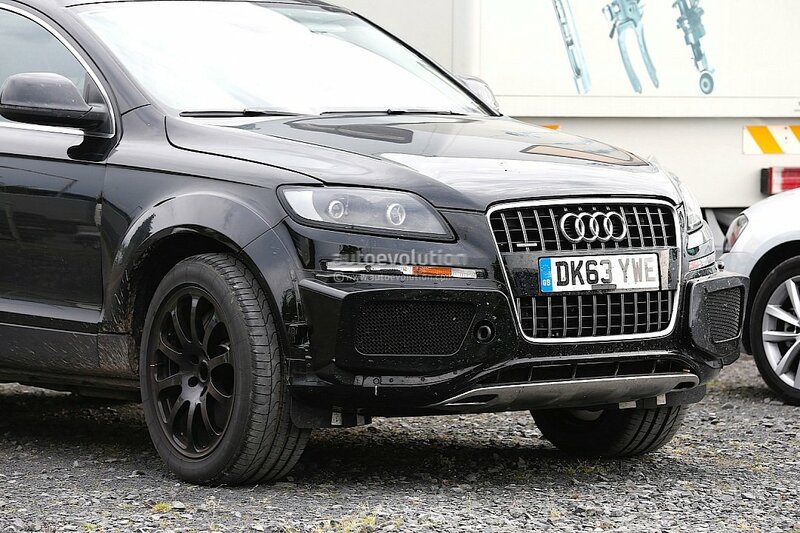 The new Q7 is way past test mule stage and has been spotted in camo all finished. 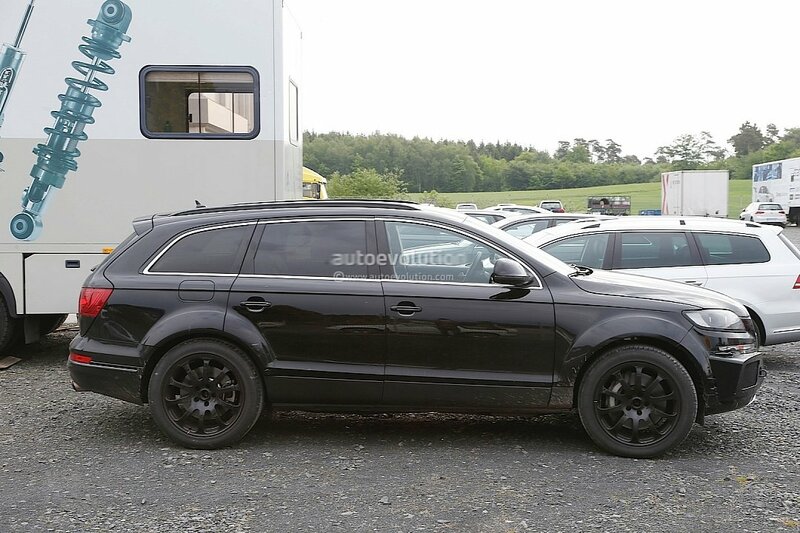 With it's UK number plate and right hand drive, this ladies and gentlemen, is the test mule for the upcoming Bentley SUV. It will share the same platform as the Lamborghini Urus, Porsche Cayenne and the Q7. It will also feature a hybrid drivetrain. You can tell those big vents are common to the Bentley GT range. 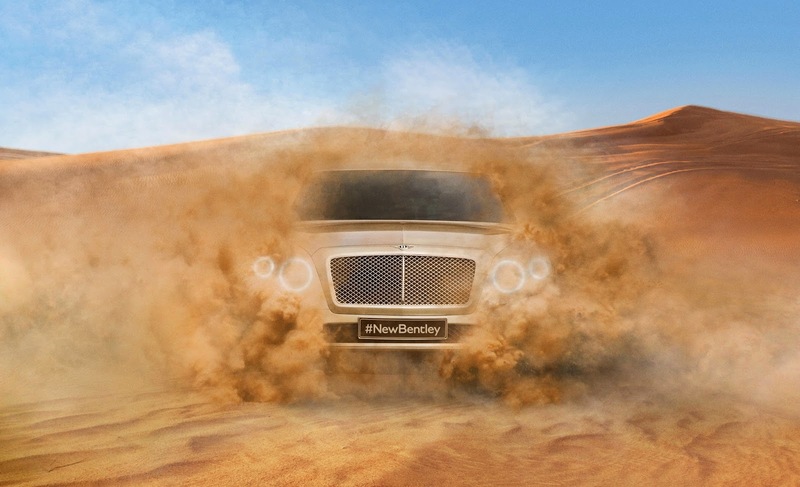 Here is the first official image of the 2016 Bentley SUV, kicking up fake dust. But it is not the first Bentley SUV. The Special Projects division has made Project 800 the Bentley Dominator 4x4 for the Royal Family of Brunei in the 1990s. More on that car here.